categories > Comic Talk and General Discussion * > Pimp your fave DD comics. It will be like the featured comics, but theses are user features and it will be more dynamic because you can pimp anything you think is good quality and that people would like to read (except for adult comics unfortunately), it could have already had an official feature, it might not be currently updating, it may have only just started and so only have about 3 or four pages, whatever, it could even be an already super popular comic that's in the top tendn on DD but you just feel like raving about it. Wow you sure picked an EASY task for us haha!! I honestly don't have a single favorite (or maybe I have lots of favorites)… but if I had to pick just one to showcase, it'd be The Cull, by Singring! The Art is just on a whole 'nuther plane of existence!! And the setting - a unique, fascinating, and brutal culture, waaaaay into the types of body modding that makes me cringe and stare in awe at the same time! And the story is really starting to hit a high gear now!! READ IT!! NOW!! I'll definitely post about that. How about comics that are completed/abandoned? I have a bunch of old favourites that fall into that category. Of course Hippie! :D Bring 'em! Alright! Most of my recommendations I will have already gushed about in my newsposts, but here goes. This one is completed and only 46 pages long, so there's really no excuse not to read it. :P The Optimist is a beautiful (and sad) little story about religion, family, politics, and hardship in Soviet-era Lithuania. The watercolours used throughout are really beautiful, and the artist also occasionally uses other mediums for things like publications, dreams, etc., which make the art really interesting. Perfect! I'll start posting about this stuff on the main DD FB page now. Just Kim's first. We normally do a post every midnight with the news posts here on DD, but I'm thinking with these I can pop them in at lunchtime instead, and on weekends anytime. -not that it maters too much since FB uses their mysterous “top stories” thing as the default display setting so you never know what with shop up when. 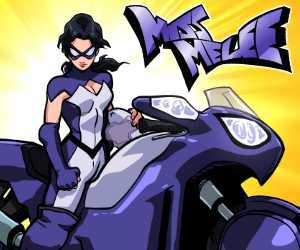 I have a lovely comic to suggest that concluded some time ago (2008, in fact) and had its run without a feature or any due attention. It's called Locoma. It is a tale about how the Locomas rescue their friends and take on an evil villain. 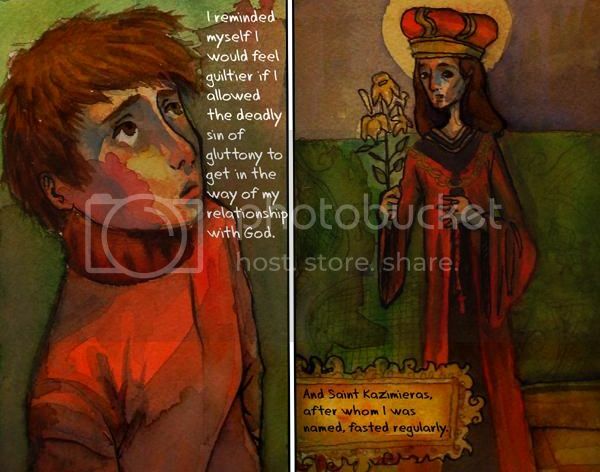 The comic is beautifully created with mixed media – pencils, paints, and digital means. Locoma doesn't take itself seriously and is delightfully meta at times. It now sits unnoticed in the archives of DrunkDuck, but you should give it a read. A hold back to old comic strips of yester year! Quick on wit and with clear art it was a joy to read! Changing style and aproch every story added a fealling of wonder as you never knew what was comming next, even if you didn't like the last story the next you would!